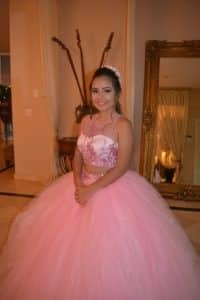 All fashion trends change over time, and quinceanera fashion is no different. Although traditions for this event tend to stay the same over the years, the fashion aspect changes often. Are you planning your quince soon, and need some fashion inspiration? Read on to find out more about the latest trends in Quince dresses, jewelry and other accessories! 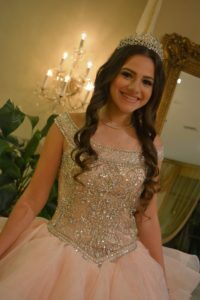 First things first: the most important aspect of quinceanera fashion, and the first to be selected, is the dress. 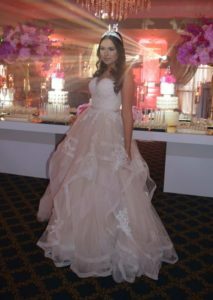 When planning your quinceanera, the dress is usually the focal point of the planning. Your dress will set the tone for the night, whether it is casual and simple, or elegant and detailed. Current trends for quince dresses in 2017 include: Bright colors, Two-Piece gowns, Mermaid Style dresses, Ballgown Style dresses, rhinestone details, lace, and ruffles. The most up and coming quince trend is buying two dresses for the party, one for the entrance and one for the rest of the party. After the dress, the jewelry is next in importance. The type of dress style will determine which types of jewelry will be best. With high-necked dresses, you could choose to wear a bracelet instead of a large necklace that might take away from the dress. However, with a simple dress style you can vamp up your look with standout earrings or necklaces. Do you need everyone to know that you are the Queen of the party? (As if they already didn’t know!) Then a tiara is the perfect added accessory for you. From jeweled tiara pieces that lay flat on your head – or your typical style tiaras that range from 2 to 7 inches tall – there is the perfect tiara out there for you! Check out Quinceanera Mall to view hundreds of best-selling styles to top off your quinceanera fashion on your special day. A beautifully intricate tiara for Berth Marie’s big day. 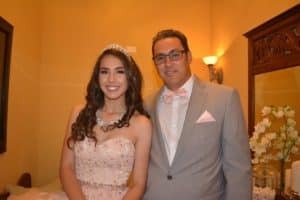 Want more quinceanera inspiration? 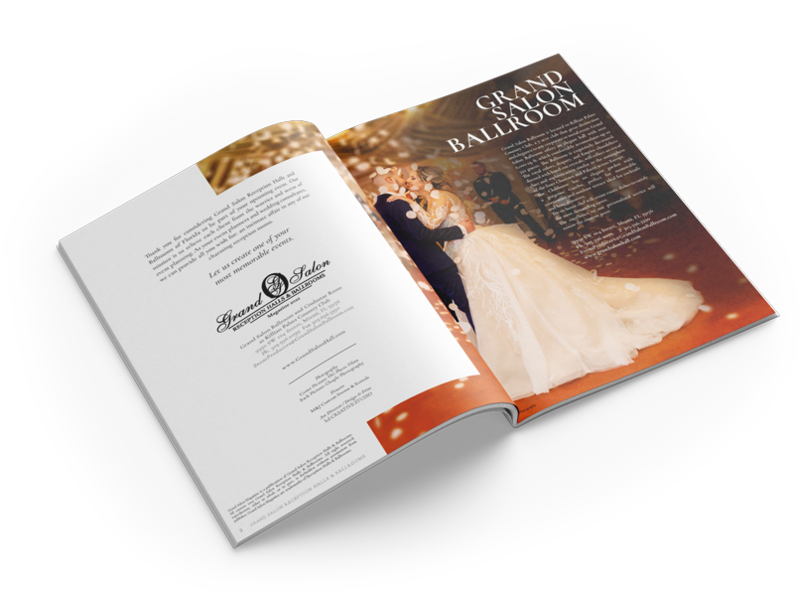 Visit Grand Salon’s quince page for a variety of different, beautiful takes on this classic celebration!